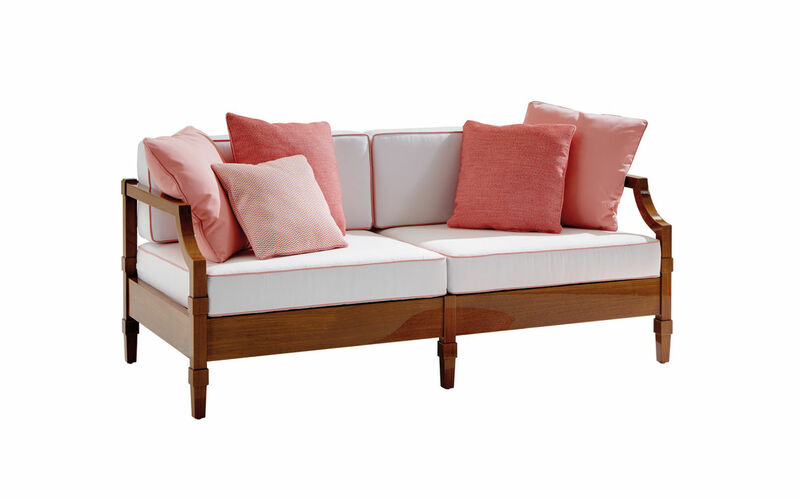 Sofa Diamond made from solid teak. 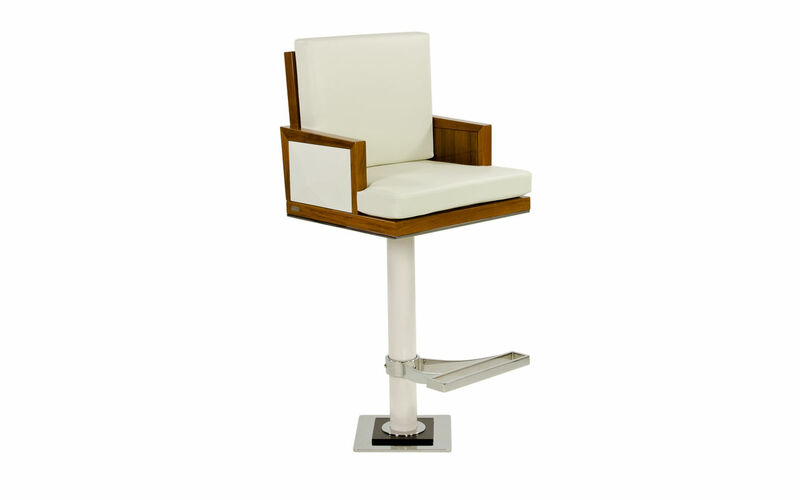 Removable armrests (either with upholstery or with tray function). Back and side of bar stool Diamond. 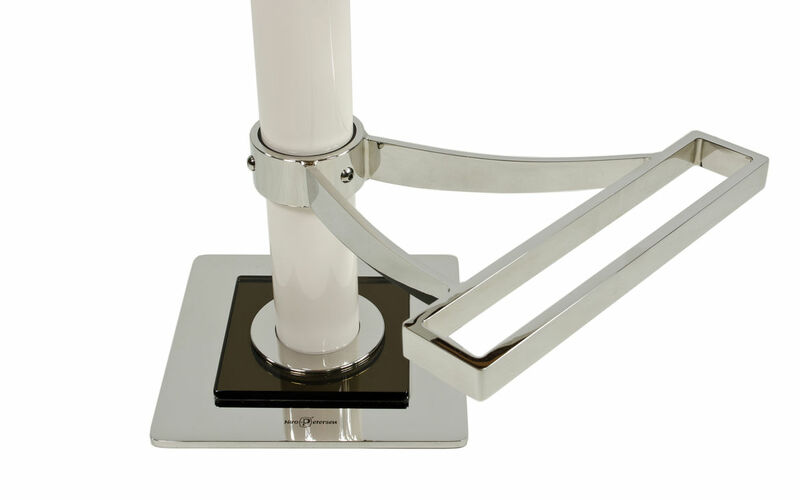 Pedestal of bar stool Diamond. 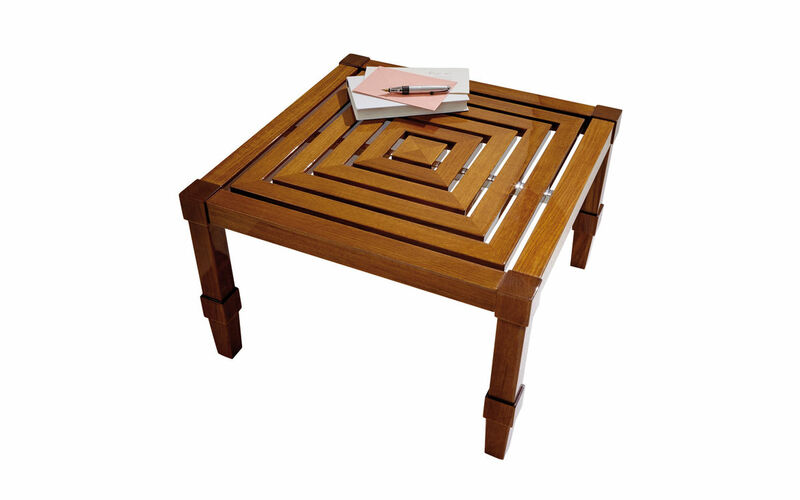 Sofa, armchair and table Cube made from solid teak. Removable seat and back cushions. Under seat with elastic webbing seat suspension for superior comfort. 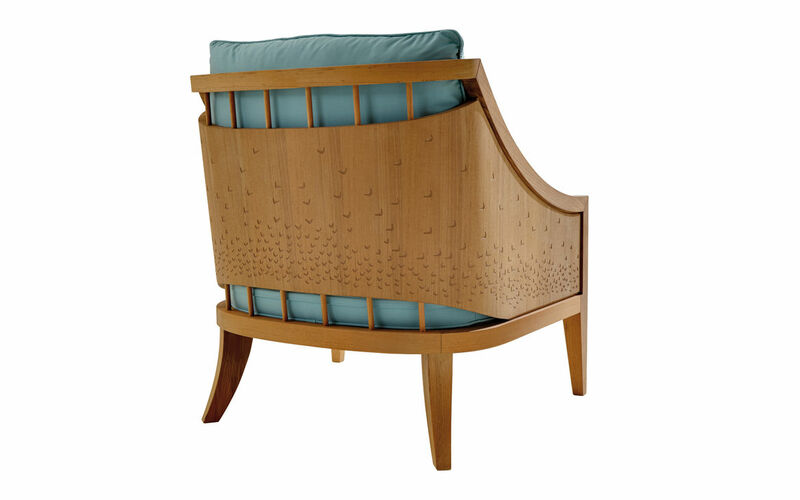 With milled decorative pattern on the back (custom patterns possible). 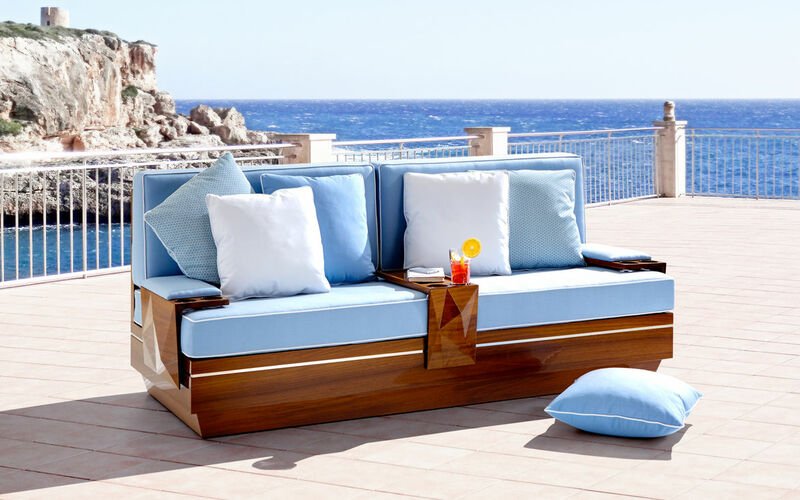 Are you looking for cutting-edge upholstery for your garden, patio or yacht? 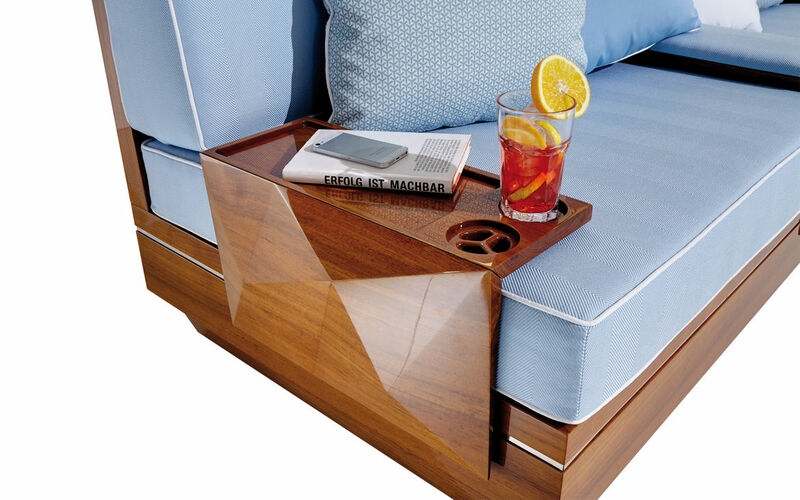 Do you miss luxurious seating comfort while being outdoors? 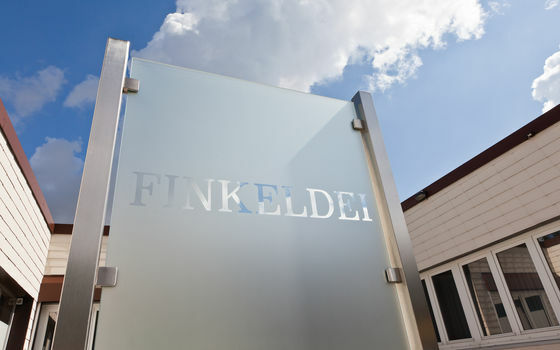 Finkeldei presents the new outdoor collection, consisting of the three programs Diamond, Cube and Wave. 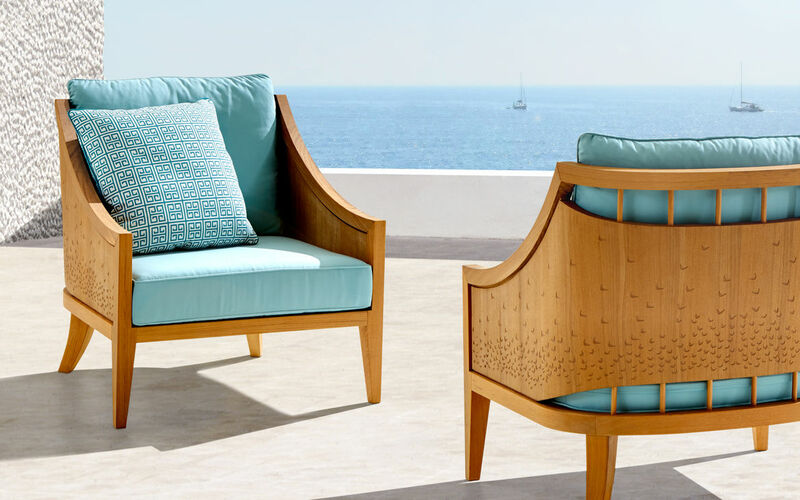 Each program of our outdoor collection provides a unique design and top class comfort. Each program includes sofas, armchairs, chairs, tables and loungers. 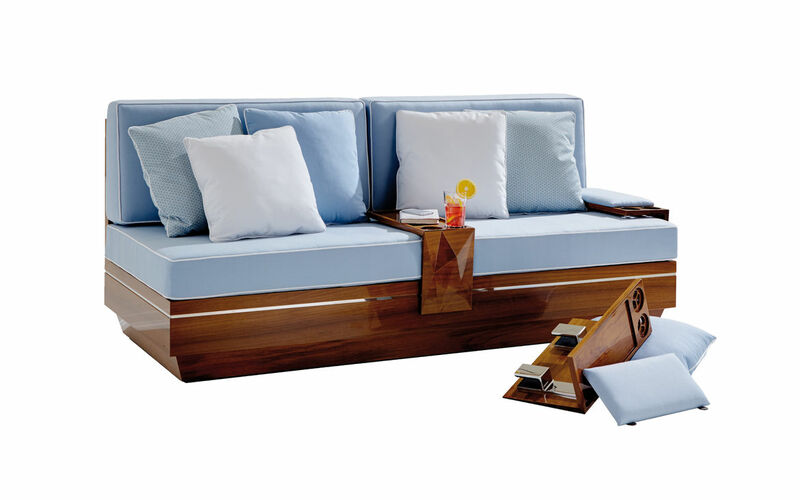 For all pieces of furniture protective covers are available. 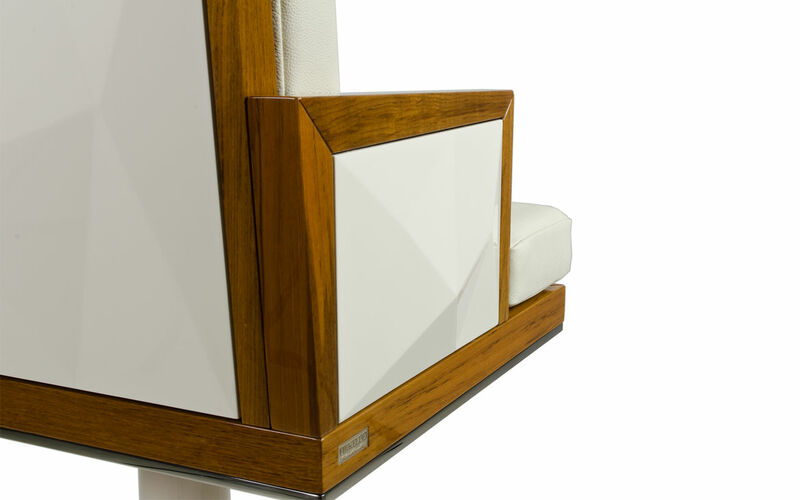 Each piece of furniture can be customised to fit your individual requirements (e.g. dimensions or surfaces, which are available oiled, high gloss polished or lacquered in the colour of your choice). 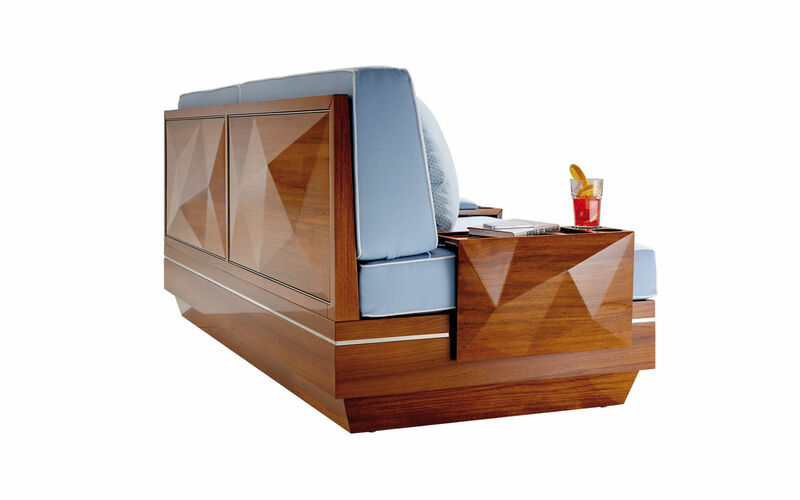 We are also happy to custom-build individual pieces of furniture for you - as a one-of-a-kind in hand-crafted top quality. A surface cut like a precious gemstone. 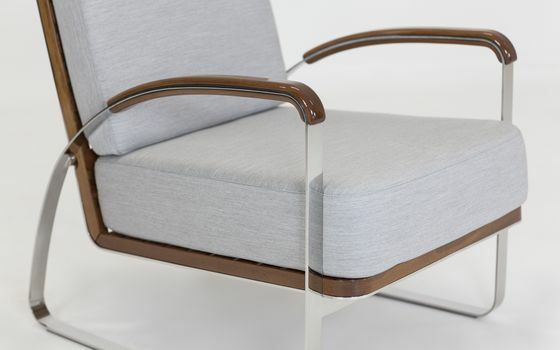 A cubic design with an elegant armrest. A structure of decorative patterns catches the eye. 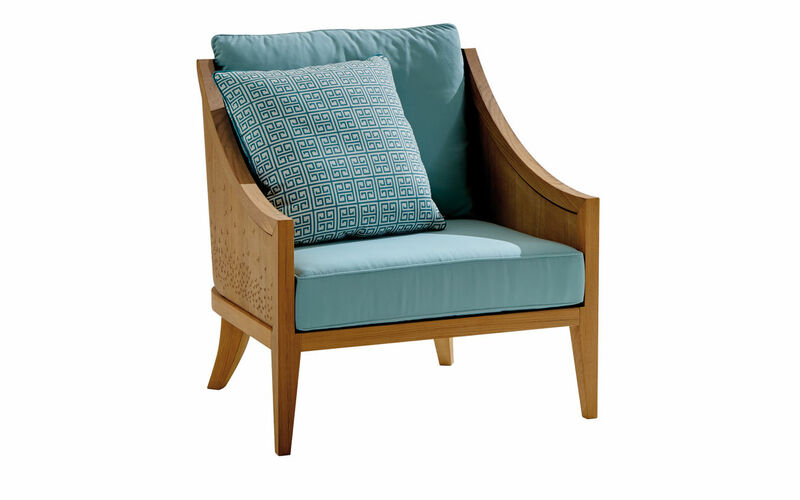 Have a look at our latest brochure about our upholstered furniture for gardens, patios and yachts. If you have any questions, please do not hesitate to get in touch with us. You might also be interested in our services for yachts. Each program includes sofas, armchairs, chairs, tables and loungers. 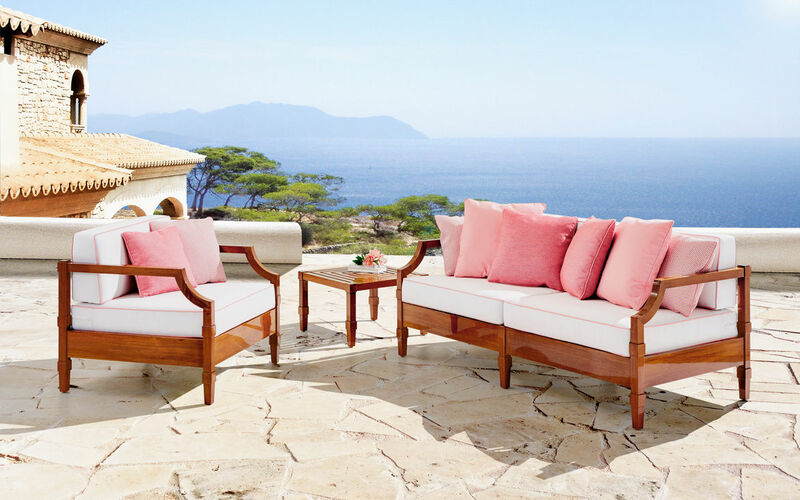 We also manufacture custom upholstery and cushions for seating and lounging areas outdoors - in any size. Larger video? Please click on the YouTube logo.